The images of new Indian currency of Rs 50 notes has leaked online. It happened in the case of 500 and 2000 Rs note too, back in December 2016. Is it going to be the Demonetization 2.0 in India? Does Prime Minister Narendra plan another attack? See through register with denominational numeral 50. The denominational numeral in Devanagari. Portrait of Mahatma Gandhi at the center. Micro letters ‘RBI’, BHARAT in Devnagri, ‘INDIA’ and ’50’. Windowed demetallized security thread with inscriptions ‘BHARAT’ in Devnagri and RBI. Guarantee Clause, Governor’s signature with Promise Clause and RBI emblem towards the right of Mahatma Gandhi portrait. Mahatma Gandhi portrait and electrotype (50) watermarks. Swachh Bharat logo with the slogan. The motif of Hampi with Chariot. 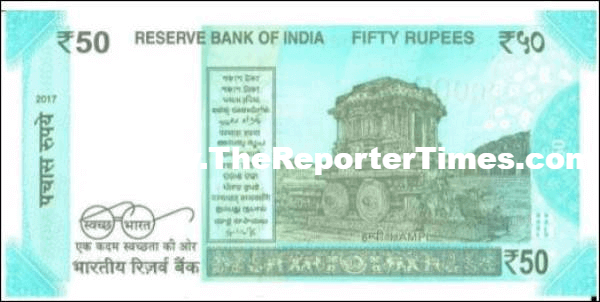 Back in 2016, it was announced that India will get its new 50 and Rs. 20 notes soon. On this August 1, HinduBusinessLine reported that India will get its first blue-colored Rs 50 notes, after its first pink colored 2000 notes and the stone grey Rs 500 currency notes were introduced last year. The report seemed to be true as the leaked new 50 notes have a sketch of Mahatma Gandhi in blackish grey color tone. It is placed in the center just like the newest 500 and 2000 Indian currency notes. In an earlier report, a government official shared privately that it will carry a South Indian temple theme on the back side of the new note. It will also carry the signature of Dr Urjit R Patel, Governor, Reserve Bank of India and the year of printing as ‘2016’. Moreover, the RBI had also issued the similar notification that it has been working on new Rs 20 and Rs 50 bank notes and it would shortly issue them. The statement also mentioned that the existing/old Rs50 and R20 note will be legal tenders unlike what happened last year. The new Indian currency notes are probably designed in different colors so that even illiterate can distinguish them. On the back side of the new notes, the print has derived inspiration from Indian culture and heritage sites or India’s scientific prowess or the march of technology. In case you noticed, 2000 note carries Mangalyaan from the Mars mission, And 500 note has the Delhi-based Red Fort on its back side. Also, the numerals are also mentioned in Devanagari script and the logo of the Swachh Bharat campaign on the Mahatma Gandhi’s round-rimmed glasses. 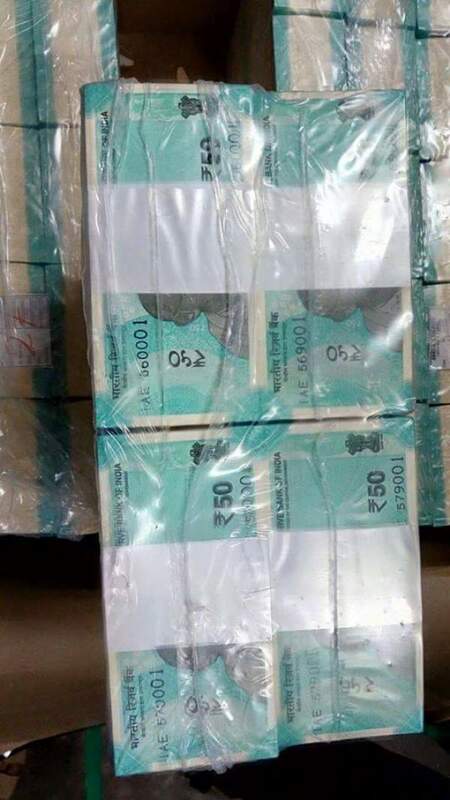 As of now, the current Rs 50 notes are pink-violet in color and carries the Parliament building on the reverse side. It is being reported that the new notes have already reached RBI chests for the distribution purpose. Let’s know your views and thoughts in comments. What do you think?